I once read somewhere: “if you stand at the Times Square long enough, you’ll see the entire world walk by.” The City of Dreams; the City that Never Sleeps; New York is absolutely magical. 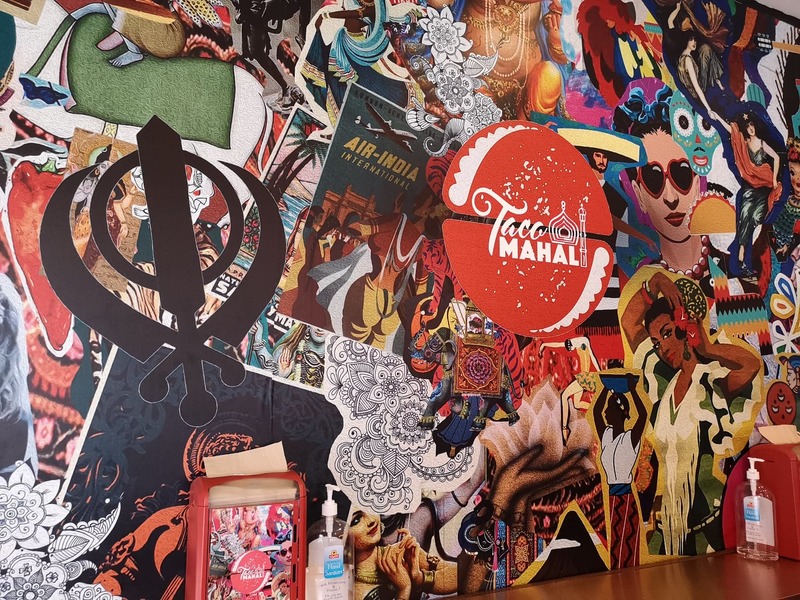 The convergence of people from all over the world in this big city makes it a melting pot of culture. 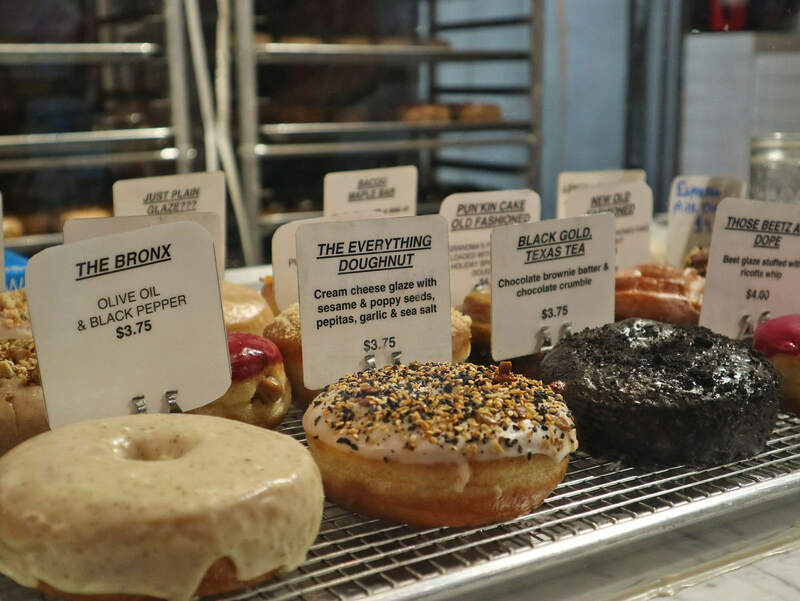 The refinement of everything is something to desire, the art scene and night life is something you need to try in your lifetime, but what makes New York really special is the food scene. New York is home to over 24,000 food establishments, everything is good, but finding the ‘worth it’ one can be tricky. 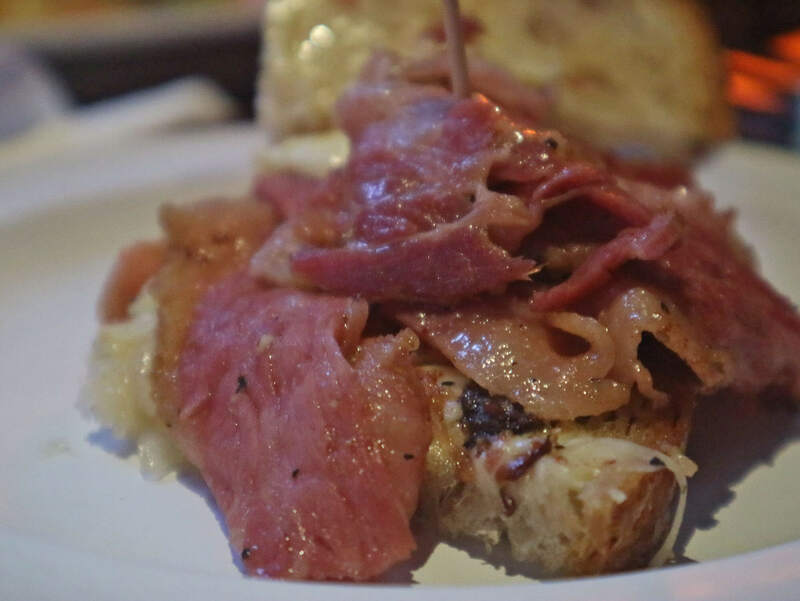 So when I saw Secret Food Tours in New York, I was very eager to try it. 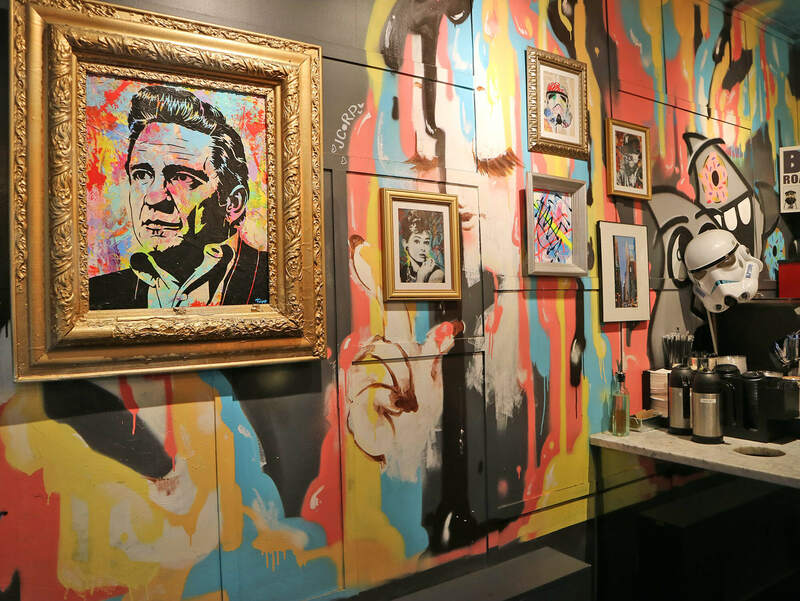 I already tried Secret Food Tours when I was in London. 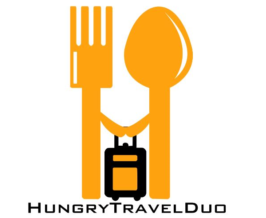 For those who are new here, Secret Food Tours is like a tourist guide service but they doesn’t only show you historical and cultural places, they also take you on a gastronomic adventure across hidden gems in the city. 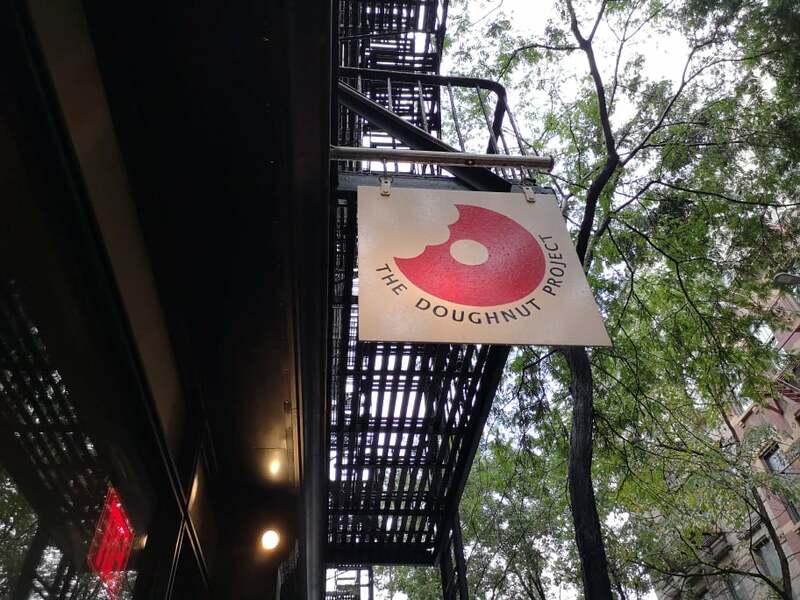 Our Secret Food Tour was at the Greenwich Village, this rich and diverse part of New York is one of the neighborhoods I have been dying to explore. Our meeting point was right under the IFC marquis sign. There, we met with our guide Thalia or Tee as she prefers it. Upon meeting her, I already knew that it was going to be a fun tour. Thalia was very bubbly and energetic, and you can really tell that she was very knowledgeable about the city because she gave us a lot of tips about broadways, nightlife, and more. Of course, our first stop must be a bagel. When talking about NYC food scene, pizza, hot dogs, and bagel are the holy trinity. 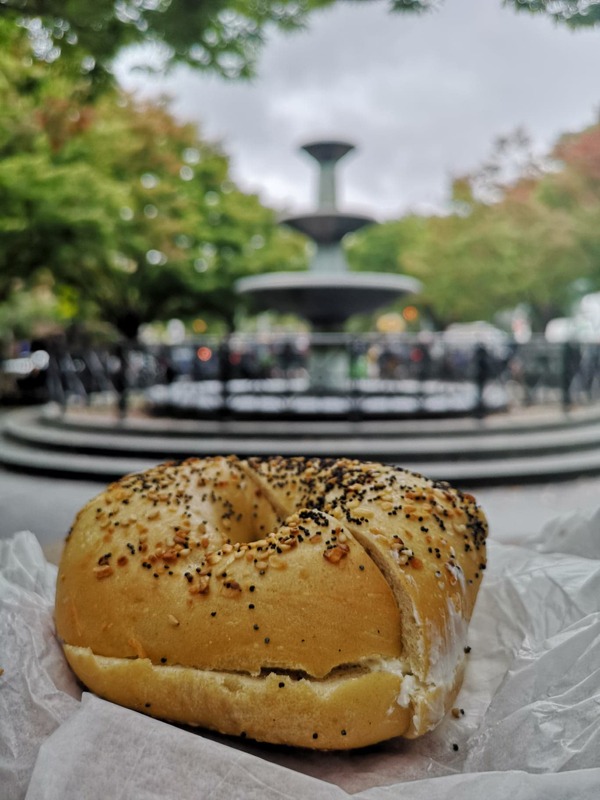 Bagels on the Square is one of New York’s most famous bagels. 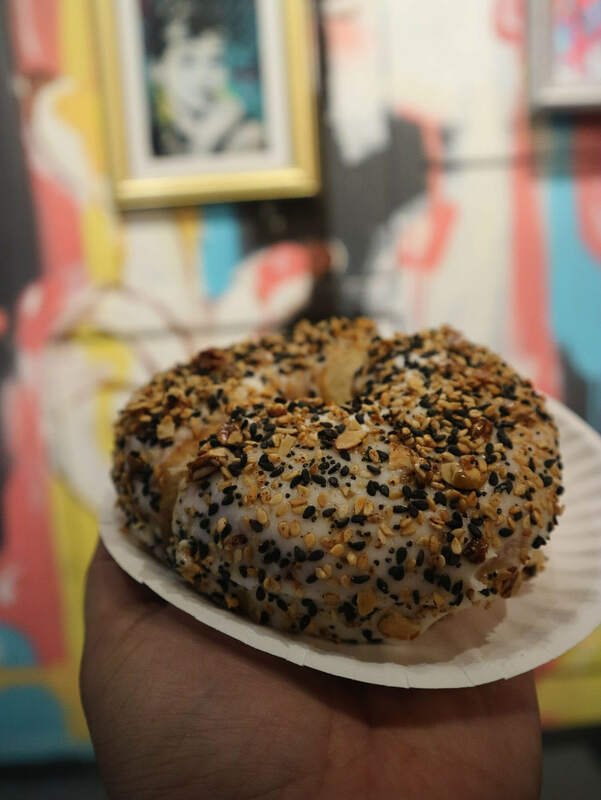 They have a wide array of bagel selection as well as a range of fillings. They have everything from the classic peanut butter and jelly, to jalapeno cream cheese. They even also have unusual one like the vegetable tofu spread and olive pimiento tofu spread. I am really big on flavors and everything I tried satisfied my expectations. We ate our bagels in the park across the street and had a chance to get to know with our companions. There were 3 girls from Memphis, 2 girls from Ontario, a couple from Manchester, Tina, and myself. Our next stop was actually a sports bar and restaurant. The bar is housed in one of those famous New York brick buildings. 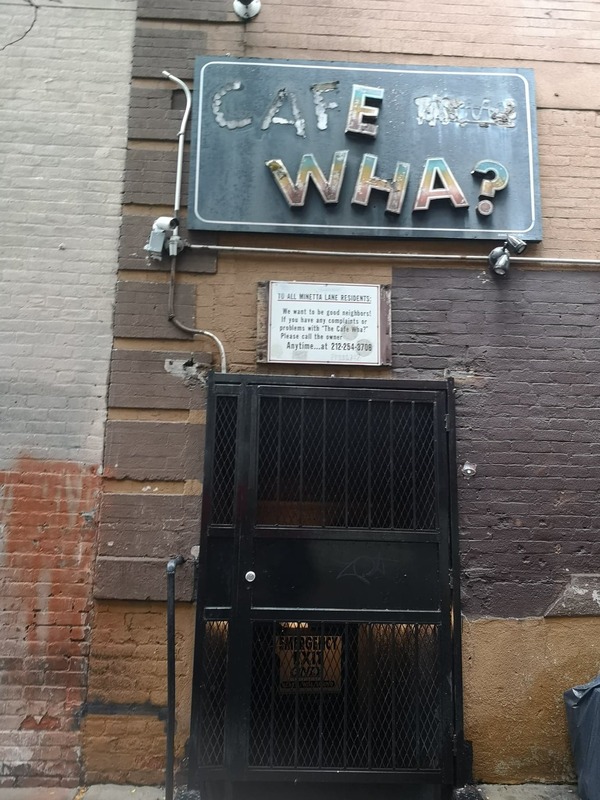 The place used to be a stable and carriage house in the 19th century, then became a Latin Bar, and eventually became the legendary Café Bohemia where Miles Davis used to play, before it became as Barrow Street Ale House. 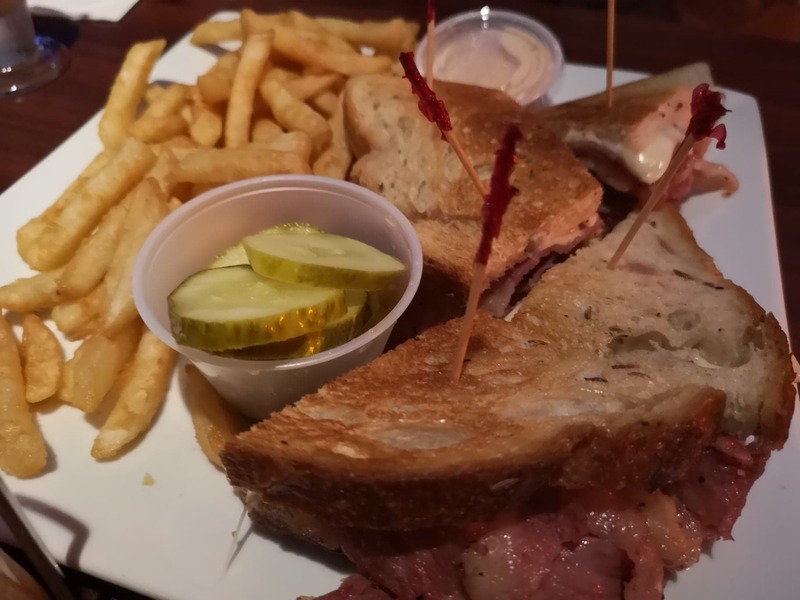 We had their iconic Reuben Sandwich with fries and it definitely lives up to the hype. Everything about it was perfect, from the pastrami, the melted cheese, and the spicy mustard that came with it was so good. Tip though, even if you want to, don’t binge on the fries because you want to have enough space for the next stops. On a first glance you would thought you were inside a classroom. 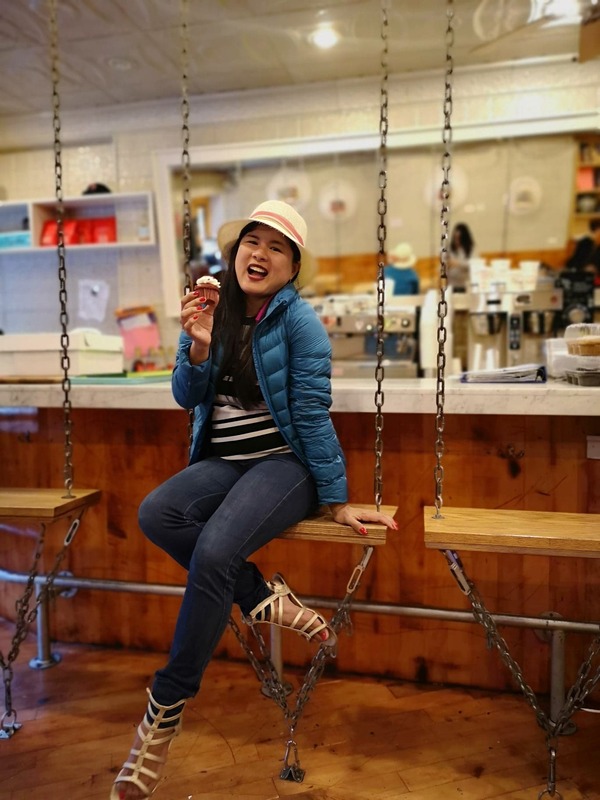 The place is styled to look like a school, an inspiration taken from the owner who is a grade-school teacher who used to bake cupcakes for her students. The place is so cute I couldn’t resist taking a picture by the swings. As for the cupcakes, I tried the beetroot one. I was not quite a fan of the flavor but this one did it well. The cupcake was very soft and fluffy, and the icing was really good too. The sweetness is not too overpowering which another plus for me. 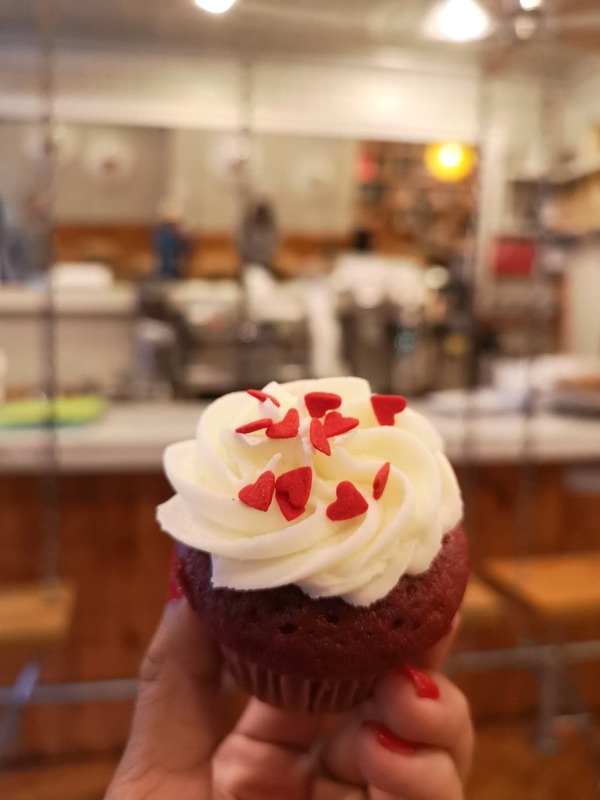 For starters, you might want to try the red velvet cupcake because you will never go wrong with it. Just when I thought I’ve had enough sweets for the day, we came to a doughnut haven. 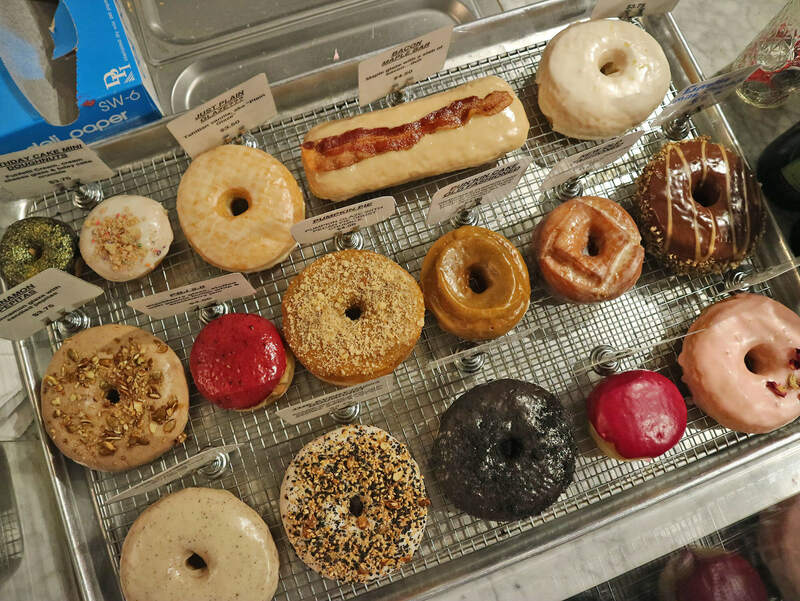 I am quite a fan of donuts and The Doughnut Project have most mouthwatering donut you’ll see. The drill was 2 people will share in one doughnut because they are quite big. But the others were kind enough to share theirs so we end up trying all the flavors we ordered. My favorite was the Lemon Love Letter which has a lemon glaze and topped with pinch of sea salt and lemon zest. It felt like each time I bite into it, the flavors change. It was so good and kind of reminded me of the bagels we had earlier. 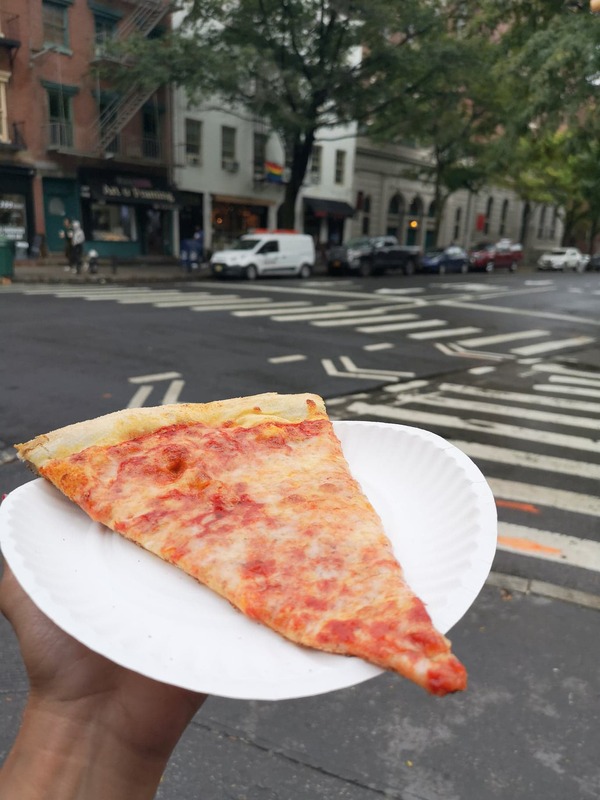 5th stop: What is a New York food tour without Pizza? Any New York food trip wouldn’t be complete without pizza. 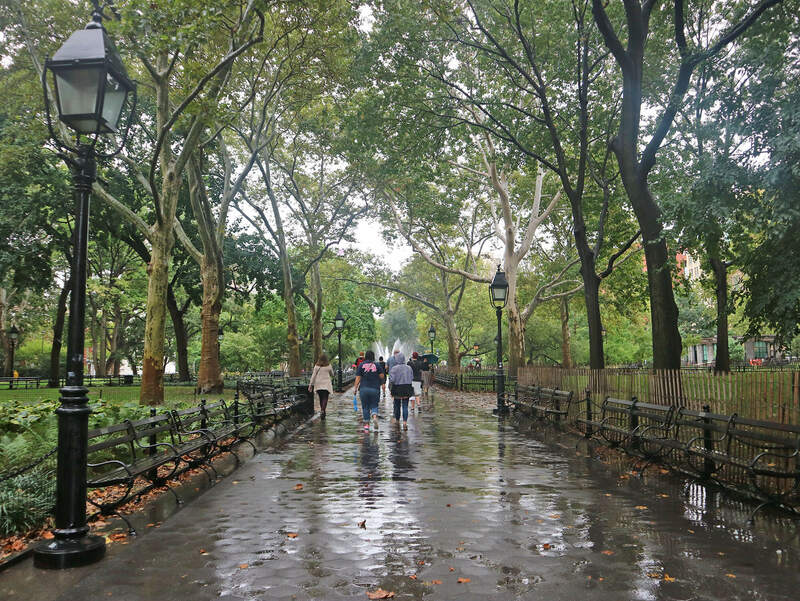 this is one of the many places in the city that serves the classic New York-style pizza. Thalia said it was just your regular greasy pizza but it was so tasty and really delicious. This is the kind of pizza I’d want after a good night out and I’m having a bad hangover. Or I can simply say, this is the pizza you’d want any time of the day. The surprise stop as I heard, kind of varies every time or per batch. 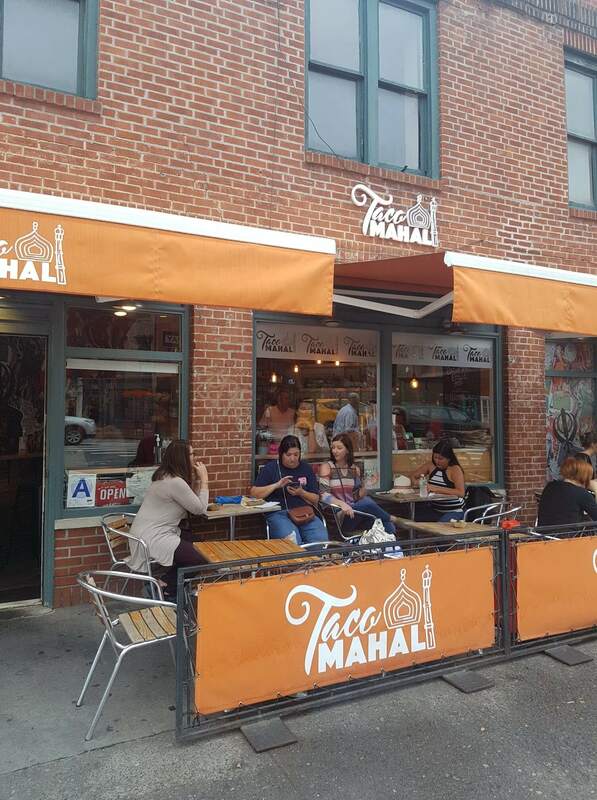 In our case, our last stop was at this taco place called Taco Mahal. 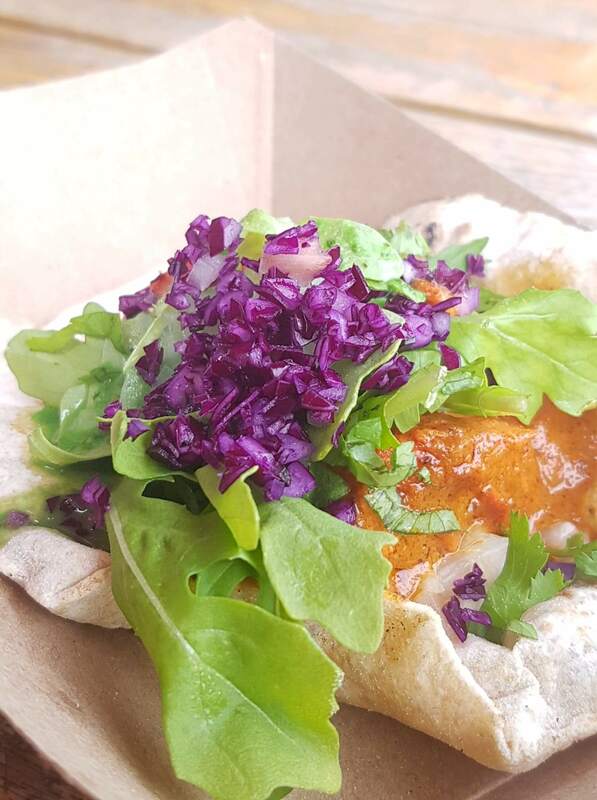 We had the chicken soft taco which was surprisingly soft and flavorful. It reminded me so much of my recent trip from India. And despite feasting there for almost 3 weeks, I was still loving the flavor. 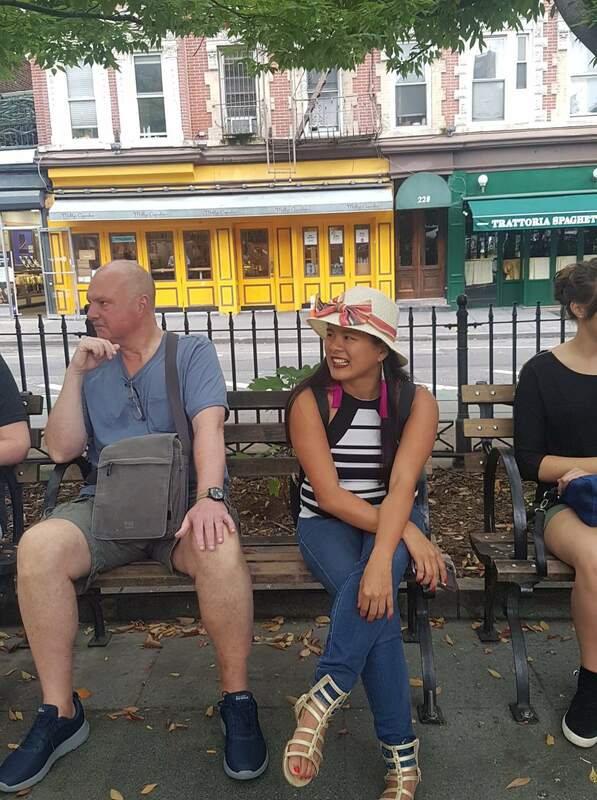 All in all, we had a good time with Secret Food Tours New York, Thalia said the last stop was a surprise and it was. We were so full after that we just headed to Brooklyn to have some coffee. 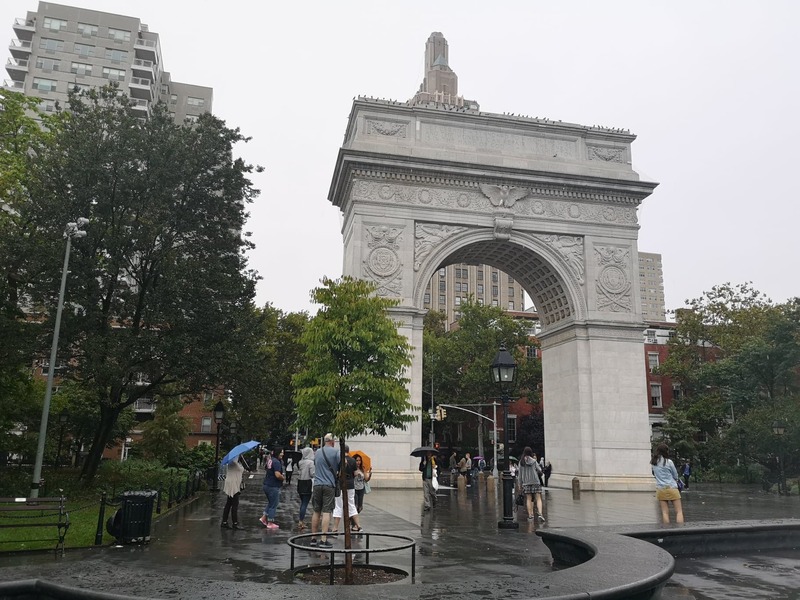 Greenwich Village is a place that you need to explore while you are in New York, it’s so rich in History plus this is where they discovered Bob Dylan ( see?). so what better way to explore a village than through a food tour.